Discussion in 'SEO - Packages' started by luckyman, Apr 28, 2017. Hi just placed an order. order 91117804. Let me know whats the next step. Would like a sample report please. Thanks ! Just sent you a PM with some questions, Thanks. Just place order PREMIUM 90672962. Can you please send me package pricing? Hi, I am looking for GMB ranking for my client and which package do you suggest. Do you provide local keywords that are related to the niche? Plz send me the details, let us check it and reply you. Aggressive Local SEO - Local Setup, Optimization & Manual Citation Service !! Luckyman and his team have already created a lot of content, infographics, and other info for my site within just a week of purchase. Also, excellent communication on their side. I am very impressed and am looking forward to the rest! New order 88257083 was placed. Bhupesh is the man as always. Great support! I have about 10 keywords on first page. Don't have many in top 3. I purchased 3 premium packages. Brand new website in semi-competitive niche. I targeted a 10 million dollar/year competitor and Lucky Digitals is doing a very good job at slowly creeping up on all of their most competitive keywords. That being said, I also did an entire website restructure which undid all of the on-site optimization. I feel this is a very big reason I'm not higher in rankings. Bhupesh and his team are literally one of those resources you wanna keep secret, because you don't want anyone know how good he is. 100% sure that's why he doesn't have more reviews and thumb ups. Check my post history for the other reviews. This is really my biggest "con" so far. Spelling mistakes and grammatical errors that are hard to catch for non-native speakers. Outside of that just weird uses of capitalization in some cases etc. That is really my only bone to pick there. You get A LOT for the price you pay. I mean A LOT. I could go on about how happy I am finding these guys. As for the spelling/grammar stuff, its really NOT a big deal but rather a small thing I am sure they will continue to improve on as they seem the type to want to better their services constantly. Would rate this service for the price, expectation, and overall value: 10/10. Rating this service against high end massive SEO businesses that cost 10k a month? Still going to be in the 8.5 range. And the extra 1.5 is work you should be doing anyways which is writing about YOUR business (or your client writing about theirs). I have been buying services from people online and subcontracting them to local businesses for a long time and I will use this company as much as I can now that I know the quality and performance I can expect from them. Awesome work! All previous orders have seen significant increase in ranking and traffic. Just made another order for the Standard Package. Looking forward to more great results. Thanks! I did this with a brand new website that wasn’t even set up all the way. Bhupesh, the owner, is a really cool dude. If you show even a tiny bit of hesitation, he will go out of his way to make up for it. I talk to him almost every day to make sure things are running smoothly. I’ve never had any problems getting a hold of him. I will say that there will be a little work on your side, but lucky digitalis will remove most of the work from your plate. Also the work ethic on this guy is pretty crazy. He’s been in the industry for years, but I still catch him doing research quite often. Yes Correct, we are working on this project since last 2 months. "my top keywords are still N/A. The niche is really difficult and has a lot of competitors"
SEO competition is very. your competitors are sending a lot in PBN's. This month, we will fours on out reach. We are very close. I made a (3rd month) payment for Premium Package. After the second month some of the LSI keywords moved up, but if I have to be honest, my top keywords are still N/A. The niche is really difficult and has a lot of competitors, but I hope the Lucky Digitals team know what they do and will "move" my website to top positions. Lucky man is awesome. He knows what he's doing. He's incredibly nice and super helpful. So far, he’s gone way out of his way to help me. I'm really new to this, have tons of stupid questions, and he doesn't care. He just wants to provide the best experience possible. That being said, I think the content lacks aesthetically. I feel like that's the only downfall. Lucky man, keep it up! I'm very grateful for what you do! 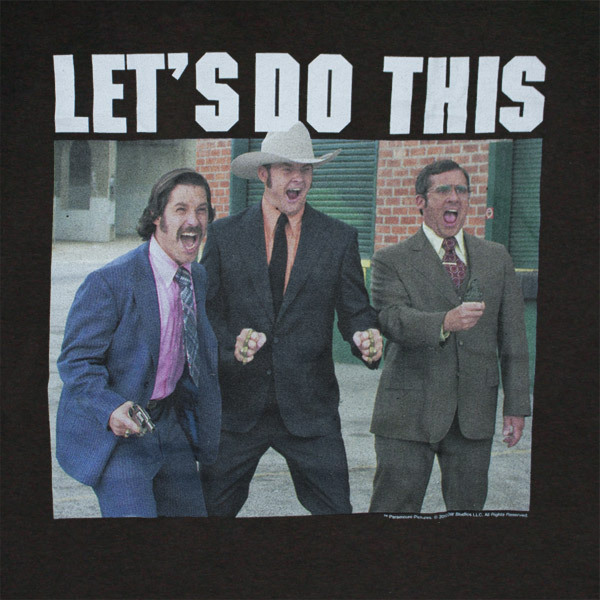 Just submitted my sixth order for premium package. So far good results. Thanks Lucky. I recently purchased his standard package for local SEO. I will update here throughout the process and let you know how it goes. So far , everything has been great. They have excellent response times to any inquiries you send them. Excellent communication, was out of town for two week kept bugging me to get the job. Solid reporting and great results A+ service! We are working on this project since March 2018. 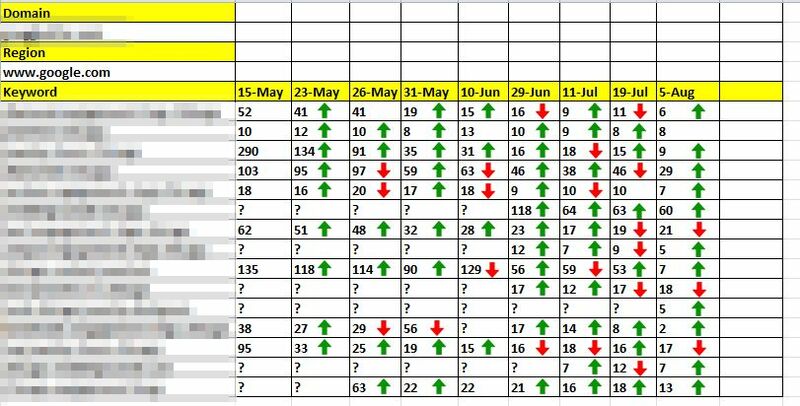 That is last 3 Months..
Much Better Ranking In May.. This is just a follow-up to LuckyMan and his company. I have been working with Lucky for couple months, and I have absolutely nothing negative to say. Very, very good service at a fair price. Also, you always get a response from him within 24 hours, so customer service is VERY good. He has been helping me target some very competitive keywords in a major city, and has done a stellar job. Literally took us from zero online web presence to being found online. I am putting my project on hold for now with him, but this is because my company is trying to scale properly. Right now, we are just trying to grow in our local suburb city. However, once we grow and have the resources to scale properly and handle all the calls/sales, I will bring on LuckyMan again to help us target the major and tough keywords for the bigger city. Overall, my experience with Luckyman has been 10/10 and I would definitely recommend him to other people and I would use him again (I will once I grow my company accordingly). Thank you Luckyman for all you do!! Yes I confirm That we get paid for Premium Package. Thanks for your order. We are working on this project since Last 2 Months. So far 5 out of 17 are ON Page 1. Just wanted to give these guys a quick review for anyone here on BHW that is still on the fence about using Luckyman's SEO services. I found communication to be great and i received replies to my emails within 2 minutes sometimes. Details reports are provided for each site so you can inspect the work for yourself which i liked. 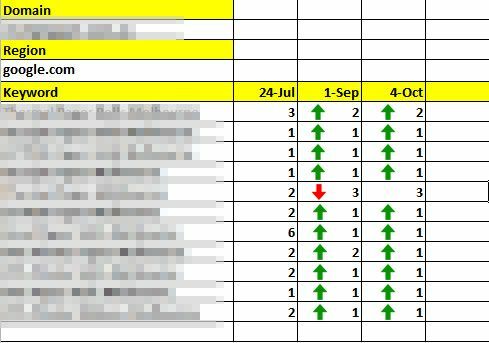 Now keep in mind that it has not even been a full month yet but i am already seeing a rise in rankings for my clients sites. I will keep an eye on my clients rankings and will report back here with the results once some time has passed. I have been working with Lucky for about 2-3 months now for my small business. So far, I am VERY impressed with his service and work. First, the customer service is amazing. You will always get a reply back from Lucky within 24 hours. If not, then something is wrong! He will answer all of your questions and concerns. I really love the progress that we have done for short time so far! I went from having ZERO online presence to being ranked in the first couple pages of Google!! There are some keywords that are DIFFICULT and highly competitive. They range from $25-$55 CPC. We are getting close and I am full trust in Lucky and his team to get me there. Overall, I HIGHLY recommend Lucky. His team is by far the best team that I have experienced with so far. You get weekly link building reports, monthly ranking reports, and communication and customer service is 10/10. More importantly, THEY CAN RANK YOU! Thank you Lucky! I am glad I found you and glad to have your team as my company's SEO provider! I completed 3 months on The Premium plan. 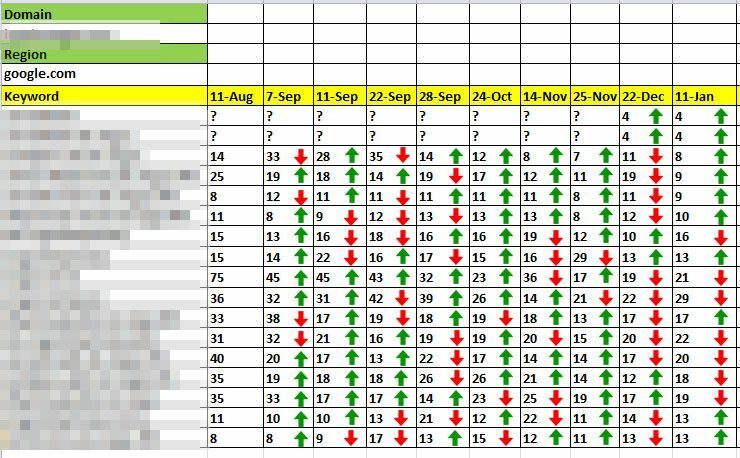 I can confirm that the work is very high quality and the SEO rankings improved from barely existent to first and second page rank for most keywords requested. WOW!! You guys rock! Another order with fantastic results and thank you for going the extra mile for my urgent project! First of all I would like to apologize to luckyman because i've been meaning to write this review for a while now and just got too busy to do so. This is n honest review. I have multiple websites and been using different SEO services from bhw and other sources and have done a lot of SEO myself. This service is very very good and I recommend it to anyone that has a real physical location. 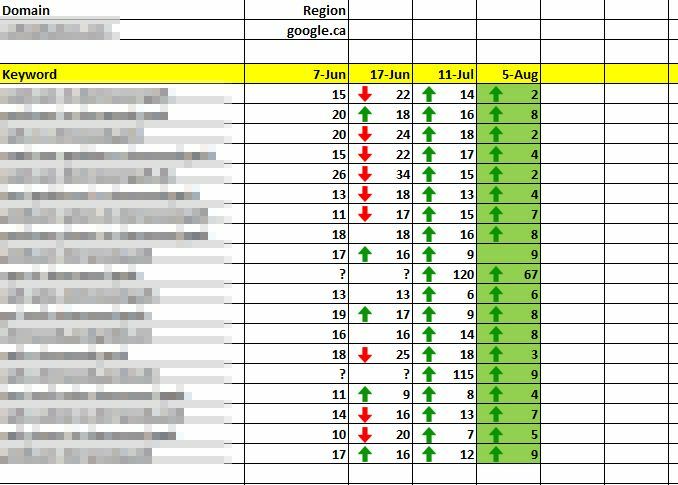 This will raise your ranking on competitive LOCAL keywords and on the maps(if you have any, if not luckyman will create it as well as long as you're legit business it should work). I'm definitely using it again, in fact i'm ordering more packages now for other sites i own. This is not magic seo, you will probably need to user the service several times to really dominate your local competition but you can actually dominate it with luckyman's help. he helps with everything, fixing small seo issue on your sites, adding content to site(you need to provide the contents) that will help rank other keywords, promoting and setting up your maps and facebook page and ranking them all high on the serps. Get this service and you won't regret it. I am currently ordering my 10th package from Luckyman, highly recommended, this package is really helping a lot of websites. Another local purchase, I still highly recommend LuckyMan and his work, excellent results on many sites, especially in niches where competitors SEO is not very well targeted to local, you can take over local results very quickly! Been working with Luckyman/aggresive SEO for several months now and have seen results, more traffic coming into my store from organic searches and contributing to my daily sales. Good communication, he is quite fast at replying, and emails me monthly, and he is also able to advise and work with me to help improve further. Placed another order, I highly recommend taking his advice and if high competition, use the 400USD package, for minimal competition the regular package is fine though and will rank well / establish a presence in google local maps. We are working on this project since July 2017. 'TooNiche' provide us articles and give us free hand. Just completed 6 months on this plan. 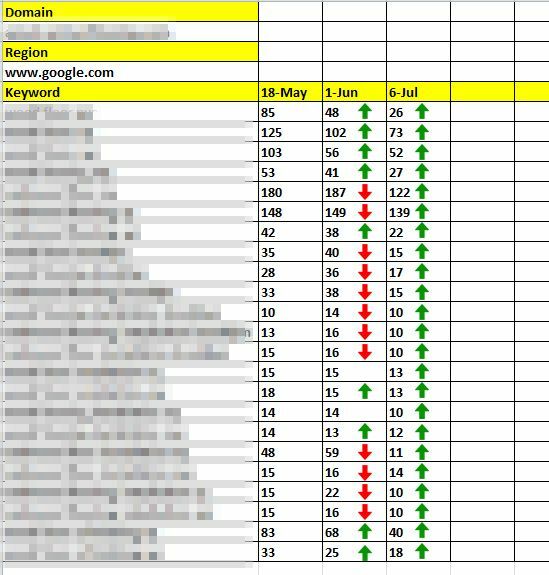 I can confirm that the work is very high quality and the SEO rankings improved from barely existent to first and second page rank for all keywords requested. Very happy with the results and I would order again in the future. This has been an absolute life changing experience. Until I purchased Lucky's package my SEO career was miserable. I kept wasting money low quality links, got frustrated and almost gave up completely. Lucky and his packages are the best investment you can make. I probably asked him 20 questions before purchasing the package. He was kind enough to provide multiple referrals and sample reports. Excellent customer service! Not only that, he helped rank a brand new website's main keyword #2 within 3 months. I was skeptical at first but super happy with the final results. I finally have a website with real traffic. His backlinks are 100% safe. I actually took the time to go through each one analyze. TAT as promised. He even helped out after the promised work was done. I'm going to keep coming back for more and more. A good service and hard working guys deserve a good review. I hope everyone else finds this useful. Lucky has done an amazing job. I truly did not expect this caliber of work. He provided amazing content creating. Everything is well documented and provided. This is my first order, but I plan to do much more in the future and cannot wait to see the rankings climb. Purchased standard package to test the water. I must say I was very happy with the service and results I got. There is a big improvement in all 5 KW, and all lurking about 1st page in Google Australia. I will definitely use these guys for future projects. Web 2.0's were created nicely and are set up to tie in together with social profiles such as GooglePlus and Facebook, and for extra oomph they also link out to several citations each, creating a kind of linkwheel that is geared towards creating relevant local links via 2.0's and citation mentions. From videos, google drawings, google presentation, there are just too many authority link types to mention. What I do know is that these links are the exact type any authority site should have naturally and that to create them you'd spend a TON of time. The infographics are of the highest quality and are worth keeping for future campaigns or shares on your social media profiles. The reporting comes in several versions, the excel one is set up with tabs separating each type of link. The reporting is brilliant really. Was also impressed that he set up an IFTT which I didnt see mentioned in the original deluxe package I bought. As for ranking, its early days yet, have been only one this for under a month, but I've definately seen movement. 90% of my keywords have moved up two or three places, most were at position 15 or 16 in Google and now are already sitting at 12 and 13, so should break into page one soon! That's my unbiased review so far, am certainly impressed, and am going to keep a log here and keep you all informed. I will say I left another well known local ranking service to try this one out, and Lucky is BY MILES better. All in all I can honestly say - so far this is the best service I've seen here from BHW and I've hired at least 20 different SEO services over the years. Ordered SEO VA (Order Number 106357285948). TAT and communication is great. Would absolutely recommend. They ranked a completely unranked site to #2 (low competitive kywd) in under 4 weeks. Also impressed about the video production quality. Ordered this Service for couple of my sites and client websites and saw tremendous growth across all board. I won't lie. It took almost 3 months before the improvement was visible and stable. This guy spent a lot of quality time to build well-customized web2.0s, social media accounts, G stacking, infographic, videos and a lot more. You will see these properties ranking in the top 20+ to 70+ for your KWs. Looking forward to place another for a client. Seems Luckyman has been around. Good news is., Ive been on BHW for years and just yesterday I was searching for something like "White Hat SEO Service" and he came up page 1 on Google so must know what he is doing. But even with that said, I noticed in all these threads about his offers, there's little no posts about people's actual experience one, two, six months down the road after using his service. And he only has one review in his profile. So what has been people's experience (include a brief description of your website - how old it is, how competetive your keywords are), how long before you see results? Was increase very gradual, boost that gradual or big improvement over long period? Penalties? If I should take this to a separate thread please let me know. To answer all the PM's I got asking for an update, i figured it would be easier to just post it here. I hired Lucky for the BEST package they have on here. Paid in full, did not use discount. Package was guaranteed ranking to 1st page in 12 weeks or money back. We spent close to double that time trying to rank 5-7 keywords, though they would not budge. Personally, i was shocked, because i know SEO well, and have been in it for over 11 years, i have looked at all the reports and the work that Lucky has been doing, and it was just shocking that no real movement took place. Since i know it is of no fault of Lucky, i hired him for a 2nd job, where the keyword really have zero competition in that city. I just WANT TO SEE HIM RANK, as i have a pile of work for him, once i see proper ranking, because i know he can do it. I WILL UPDATE EVERYONE ON THIS 2nd JOB I HIRED AND PAID HIM TO DO. As Lucky promised, on the 1st job where we did not succeed he did issue a Full Refund. Not only did he issue a refund, but he is sooooooo motivated to get me ranked for my keywords, that he personally feels something with my 'domain' is causing the non-rankings... so what does he do, I go ahead and get a new domain, he is going to setup a website on there (with no extra charge), he is then going to start ALL OVER again on this new domain, and make all efforts to rank it. This time, HE IS NOT TAKING $ UP FRONT, he said he wants to RANK IT, and then he will take money for the job. Now that is what I call a TRUE, CARING, DEDICATED character in a person. He works for the LOVE of SEO not only for the money. I am looking forward to his success and progress on the REDO of the 1st job. I WILL UPDATE EVERYONE HERE ON THE REDO OF THE 1st JOB! Long story short, from what i have seen, i trust he can do good work, as with anything else, you cannot predict the big G and we all know it, all too well. Best bang for buck, quick precise reply's, Insane amount of work ( how are they not taking a loss on this is beyond me ). First page yet no, but I didn't expect it, my site we did is insane competition/market. They are also careful with overstuffing and BH, which is good. Will I order again, probably. This would work great for a local agency as a starter package for clients. placed my 6th order with lucky. I am officially at 1 month working with Luckyman, however we began talking a couple weeks prior to when we officially started. I am very slow to work with anybody new as a rule of thumb when doing any whitelabel/personal SEO or online marketing work. Luckyman has been a pleasure to work with so far and even this early in the campaign is exceeding my expectations. I purchased the Premium local SEO package and it has been doing great with my clients ranking for their E-Commerce business. I use this service as a whitelabel service. The content is great, the service from Luckyman and his ability to answer important questions and clarify exactly whats needed and best practices is top notch, and of course everything they do is whitelabel friendly and private. For my business, I will be using this service exclusively unless the quality of whats been provided so far changes (which I dont think it will). working since last 40 days.. The work is very good, extremely detailed, a lot of effort put in. For one site with minimal competition, the site went from almost nowhere to 1st or 2nd place for all keywords in the package. I ordered another package for another site and will report back on results, the second is for high competition keywords. Luckyman sent me the final report yesterday and I have to say I am really impressed. He overdelivered in every single aspect. My website is rankings in first page for 7 out of 10 keywords. A+ service at a very low cost, awesome to resell. Hi, Just a quick review to say we've only been using Lucky for 3 months but we already have 50 plus keyword in google USA top 3 and our domain ranking has improved significantly in a very competitive market. Started with gold package and now using Platinum package - his team do any amazing amount of work. Definitely recommended. I had a few doubts and some minor setbacks on my behalf but luckyman was able to help me every single time. Communication is top notch and results are already showing up after less than a week! Thanks for the Reviews. Let me add My comments. All my keywords from the previous order are on page 1 as promised. They really killed it with the results. I have used a lot of SEO services on BHW over the years but this one is certainly the best. Placed another order. Expect around 10 - 20 orders from me every month! If anyone of you guys have been on the fence about trying this service I would certainly recommend you to give this a shot. You won't be disappointed. Minor G dance and now all keywords are ranking well. update: 12 keywords out of 15 targeted are top of page 3, 1 keyword is on page 2. competition is medium in local niche in decent size market. seller communication has been excellent and its obvious he cares about his clients. 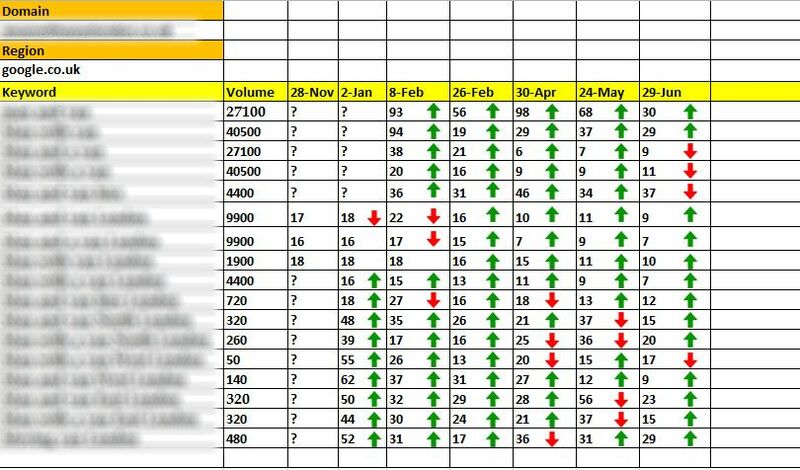 while there is no first page rankings yet, i believe we are headed in the right direction i will update as there is more movement on the keywords. Been using his services for a while and all I can say is I am SUPER impressed with the results. I have tried quite a lot of SEO services from BHW over the years but this one definitely delivers! Tons of orders on the way from me. A++ service. Highly recommended! Luckyman has been an absolute pleasure to work with thus far. He has explained to me every step of the way and I am very confident in his knowledge/know how. He even noticed some issues with a previous SEO team on my clients page. Looking forward to reviewing in a couple months time. @luckyman If I remembered very well, you ranked one of my niche site in a very competitive niche about a year ago I just place an order for Standard package. I will be going for the premium package if I see any movement with this package. I will review this after 30 days after the links are completed. I just ordered the Premium Package for $400. I have been skyping with Luckyman, and indeed he is a luckyman, being in the SEO industry 10+ years, i can attest to his knowledge and experience from speaking to him. True, i cannot attest to the "RESULTS" we all year (just yet) though I strongly believe he/they will deliver. I will FOR SURE follow up on this post to let you know progress. Currently as it stands, I have 5 keywords that are ranking well, though we want to bring them up to the 1st page. Goal is 1st position, though not promised, i feel it can be accomplished. I will keep you all posted as i see ranks move while I am supplied a weekly report. Follow me if you wish for this status. just ordered my 3rd package with lucky, so far they have been doing exceptional job in terms of updating me and staying connected. My business has increased significantly since I started subscribing to Lucky's platinum SEO service. I have been using Lucky's company for SEO for the past 1.5 years, the gaps in my schedule have filled up and I get new clients every month because of Lucky. Lucky is very professional. He always replies back promptly to any inquiries I have. The return on investment is huge! I definitely recommend Lucky's SEO services to anyone in the service industry like myself. The first step is always the hardest (signing up) it gets easier because Lucky will take care of everything. Their work is really is guaranteed to get top results. Great guy to communicate with! Provided reports of rankings when i asked. Did my checks everything looks great. Seller provided their package for review, all work was completed to a high standard. The package is really well thought out and goes into great depth. Really impressed, you get a LOT for your money. You can receive 20% extra links by confirming your order in our thread. Want to see some Report? Let us know in the thread! 5th premium package for same website. Website was brand new is still in Google sandbox, but has made A LOT of progress. DR is now at 48 only using lucky digitals. I am now dealing directly with the project head and the communication is much better. I will mention that their recommendations are a bit excessive—but it’s to make sure there’s no room for error. For example they ask for 2k words per page, which isn’t necessary for local ranking. For the most part, I can set it and forget it which is super helpful. Just curious: you say it is 5th premium pack for a site that Google has sandboxed, yes? Was it sandboxed due to this service or another reason? But for a 5th pack: what effect does it have on your site? It’s just in a long sandbox process. A lot of it was probably my fault to be honest. If you look at my past reviews, I mentioned I undid a lot of their work while I was trying to improve the conversion rate, changing hosts also caused nearly 300 crawl errors. I wouldn’t keep buying if they weren’t doing a good job. I barley bought the 5th pack, so they have yet to do work on it. But like I said, it was a brand new, untouched website. The fourth pack made a 300% increase in average ranking. They treat this as a true white hat service. For comparison Moz was in the sandbox for 9 months. It wasn’t because Moz doesn’t know how to do seo. I have many KW hitting first page and a few in the top 3, but the sandbox effects are still there. My apologies for not going into more detail. Okay i try out the standard package for my mom's business. If it works out I will buy more. Please send the Discount coupon and sample report for the premium package. Neee to get this site ranking but nice and slow so there are no sandboxing by Google, FB or IG banns and so on... Looking for slow real looking growth for this site..
You guarantee to rank page 1 for keywords such as "SEO Experts"? I hope every thing is okay now. I have a few questions regarding your moneyback guarantee. I want to get your executive package for 3 months. Will you be able to rank for these kw in 3 months? If not how long would it take you to rank for them and what package is needed to get rankings? Please send sample and coupon! Thank you! Will you be able to rank for these kw in 3 months?" YES.... WE can rank within 3 months. What countries citations that you can work with? Do you offer this service in Australia? Plz tell me your requirement. The Special Offer For Serious Webmasters! !